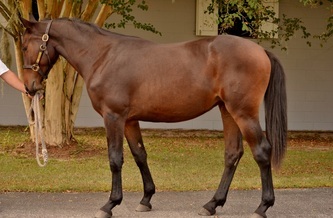 Calypso Girl - Cottage Farm Inc.
Cor Noir was a powerful stallion with strong mechanics that generated impressive elevation and scope to his movement. 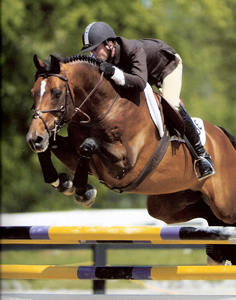 He offered an elite caliber of athleticism to easily excel in either jumping or dressage. 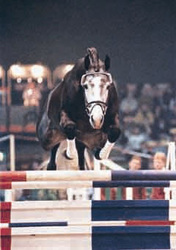 Cor Noir stood out powerfully at his 100-Day Performance testing in Medingen in 1991. His enormous scope and powerful movement caught our attention at once. Cor Noir is an excellent example of the importance of a successful motherline. 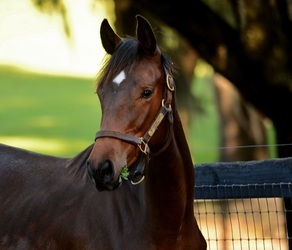 His dam Paranka, is also the dam of the German Gold Team medallist "Chacamo," by Calypso I (son of Cor de la Bryere). Cor Noir shares the same natural elevation and powerful mechanics that made his ¾ brother a champion. 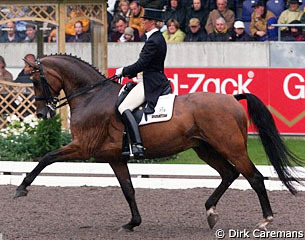 Chacamo helped the German team to a Gold Medal finish at the 2000 Sydney Olympics and ranked 9th in the WBFSH year 2000 standings for results in international dressage competition. 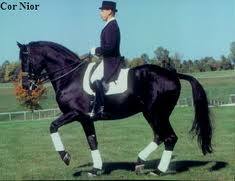 Paranka is by Marmor, who himself was a Grand Prix dressage horse. The rideability of the M-line in Cor Noir's maternal foundation bears a long history of international dressage success, like Montevideo ridden by Uwe Sauer for the German Team in the 80's. 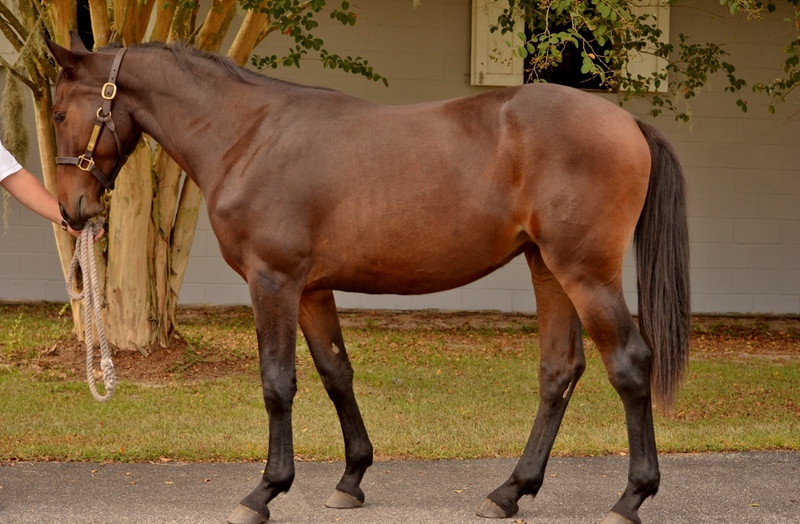 Dressage capability is a strong suit in this Holsteiner pedigree. Cor de la Bryere, Cor Noir's sire, was a living legend long before his death in 2002. 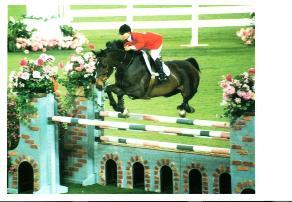 Cor de la Bryere produced a myriad of successful athletes earning medals in both jumping and dressage. He is on the Eternal List of Sires due to his prominence in breeding programs around the globe. Not only the direct offspring of Cor de la Byere, but those of his many successful sons (like Calypso I and II, Caletto I and II, etc.) bring international medals back to their homeland repeatedly. Cor Noir has proven himself an exceptional producer. Cor Noir's offspring are frequently termed calm, reliable, and unflappable. Many breeders speak of their Cor Noir offspring with affectionate stories of their adventurous natures that are readily directed toward work or learning. His offspring bear his same leggy expression with a modern type despite good substance in bone. 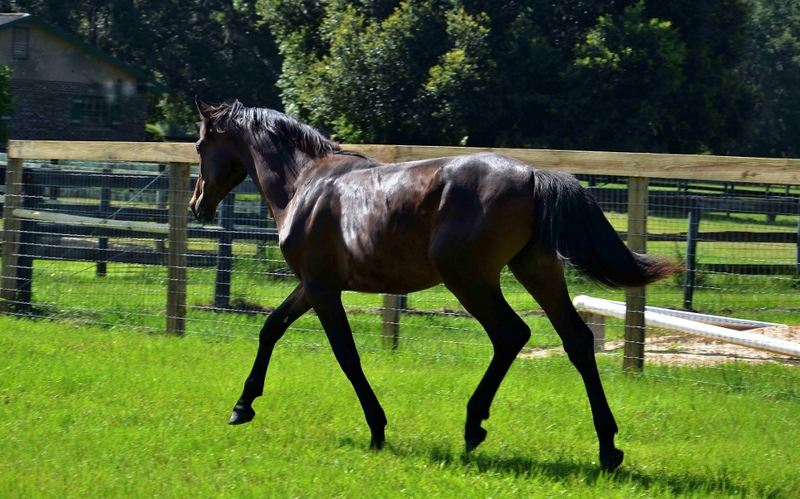 Cor Noir's daughters have become treasured as broodmares. 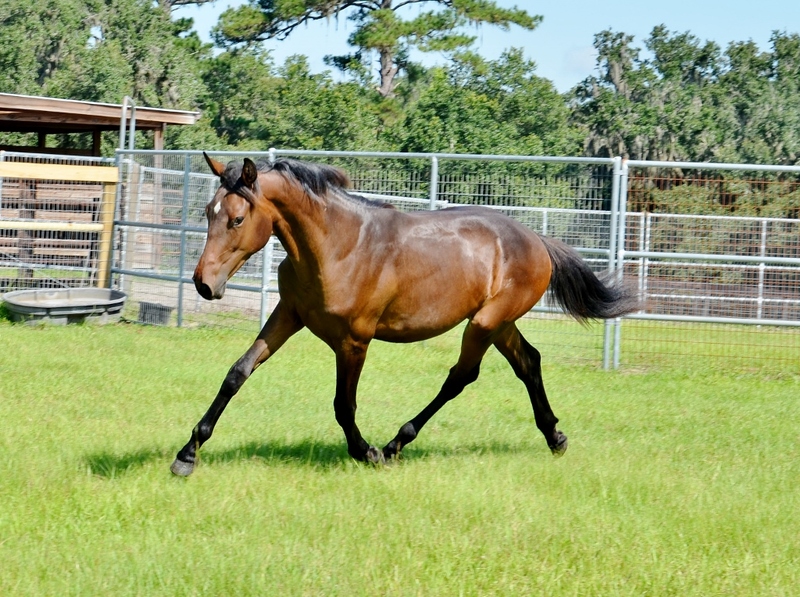 Rockette was broken as a 3 yr old and put through her paces but found her calling as a great broodmare before she made it to the show ring. Click on photos to enlarge and for further information. All under saddle photos have info on relationship to Aly.